“The very idea that there is a significant difference between white separatism, white nationalism, and white supremacy is a rhetorical game played by white supremacist groups, who are looking to shape the public opinion on their movement. Facebook is finally seeing what researchers and anti-racist activists have known for decades, that there is no possibility of white nationalism that does not rely on genocidal ideation,” Joan Donovan, director of the Technology and Social Change Research Project at Harvard Kennedy’s Shorenstein Center, told ABC News. “We also need to get better and faster at finding and removing hate from our platforms. Over the past few years we have improved our ability to use machine learning and artificial intelligence to find material from terrorist groups. 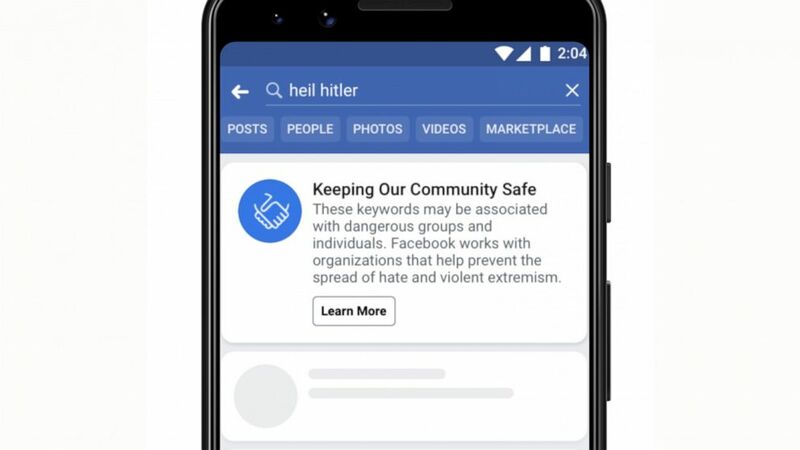 Last fall, we started using similar tools to extend our efforts to a range of hate groups globally, including white supremacists,” Facebook’s Wednesday post said.